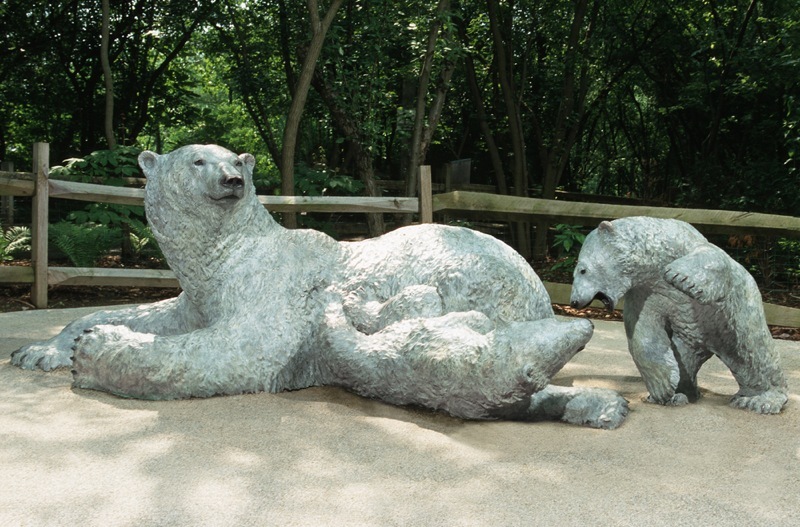 Life size cast bronze mother polar bear with her two cubs, commissioned by the North High School Alumni Associations for installations at the Columbus Zoo, Columbus, Ohio. 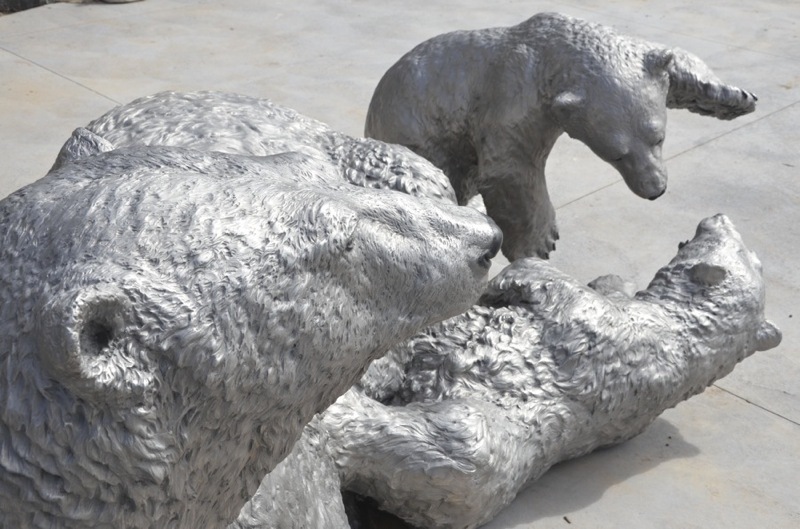 Additional images of edition 2/5 cast stainless steel for the Hogle Zoo in Salt Lake City, Utah. 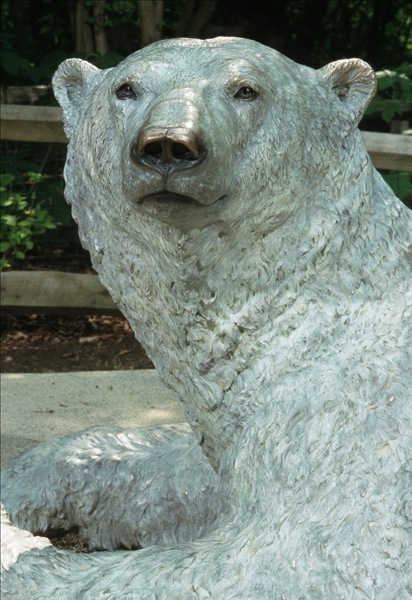 Installed in Spring of 2012.